Promise Dreams aims to make a real difference nationally to children who are seriously or terminally ill. 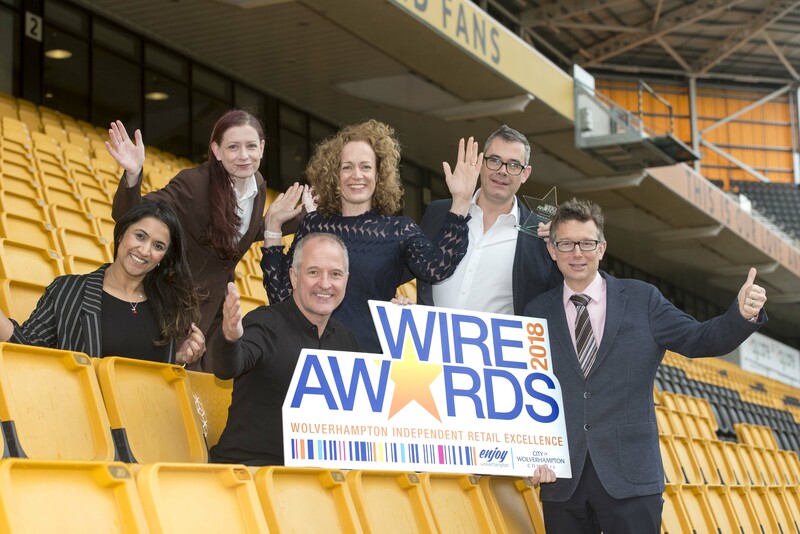 They have been invited to the WIRE Awards 2018 evening at Molineux Stadium on Tuesday, July 17, to raise much-needed funds. Now in its second year, the WIRE Awards are celebrating the best independent retailers in the City of Wolverhampton. The not-to-be-missed awards give independent retailers – whether a shop, restaurant, café, hotel, pub or gym – the opportunity to raise the profile of their business and get the recognition they deserve. The awards, which are being led by Wolverhampton Business Improvement District (BID) and City of Wolverhampton Council are free to enter at www.wireawards.co.uk. Businesses can enter as many categories as they choose, but retailers who have not yet entered need to hurry as the closing date for entries is midnight on Sunday, April 29, 2018. Steve Bull MBE, Wolves FC legend and Patron of Promise Dreams, said: “This type of support is amazing for Promise Dreams. The charity helps so many extremely poorly children to have their lives made just that little bit easier, or to bring a smile to their faces after being so brave for so long, and this partnership really helps us to do even more of that. There are 10 honours up for grabs this year, with entries being called for in nine categories, including the headline award ‘Independent of the Year’. All the finalists will go through to a public vote for the prestigious ‘The People’s Favourite Independent Retailer’ award. Isobel Woods, City of Wolverhampton Council Head of Enterprise, said: “The awards present an amazing opportunity for the city’s retailers. It shines a light on the city’s independent businesses and recognises the hard work and commitment which goes into running a business. Those who scooped awards last year have told us that winning has helped to put them on the map and has brought tremendous benefits to their business. The award categories that businesses can enter are: Independent of the Year; Excellence in Customer Service; Best Dressed Retail Store; Best Presented Premises; Excellence in Team Development; Hospitality and Leisure Business of the Year; Community Contributor of the Year; Employee of the Year; and Independent Employer of the Year. The awards are open exclusively for independent businesses whose billing authority for business rates is the City of Wolverhampton Council. Tickets for the WIRE Awards in Molineux Stadium’s WV1 Suite are available at www.wireawards.co.uk, priced £20 per head. L to R are: Sat Dulay from A Park View Hotel & Hamilton’s Restaurant, Samantha Pitfield from Wild Bytes Café, Isobel Woods from City of Wolverhampton Council, Steve Mills from Room by Room, John Henn, Chair of Wolverhampton BID and Steve Bull, Patron of Promise Dreams.